I met author Michael West several years ago at Days of the Dead in Indianapolis. 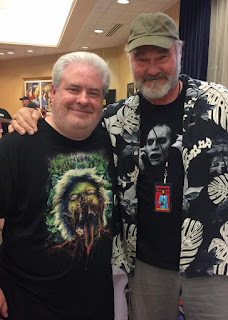 My interview with him can be found at On the Beat With Michael West at Days of the Dead 2012. There are also a couple more interviews with Michael on the Johngy's Beat Days of the Dead playlist on YouTube. Michael is a very talented author and a really nice guy. His books include Poseidon's Children, Spook House, Skull Full of Kisses among several more. Proving I'm not just a reporter (or promotion guy), I have purchased a few of his books and will be buying more. Obviously, his books feature horror stories, but that is all that is obvious. The stories take interesting angles and turns. His writing is riveting and frightening (and he is such a nice guy). One more thing I like about Michael is that he is also a fan at these conventions. I've seen him meet many horror celebrities and he always seems to be having fun. Everyone has fun at Days of the Dead. Today I feature a picture of Michael with Sherman Howard. Among his many acting credits is Day of the Dead, one of his earliest projects back in 1985. Since then, he has done a lot of motion pictures and even more episodic television. He was a very popular guest at DotD. You can get more info on Michael at ByMichaelWest.com. You'll find his bibliography, books summaries, his schedule and more. 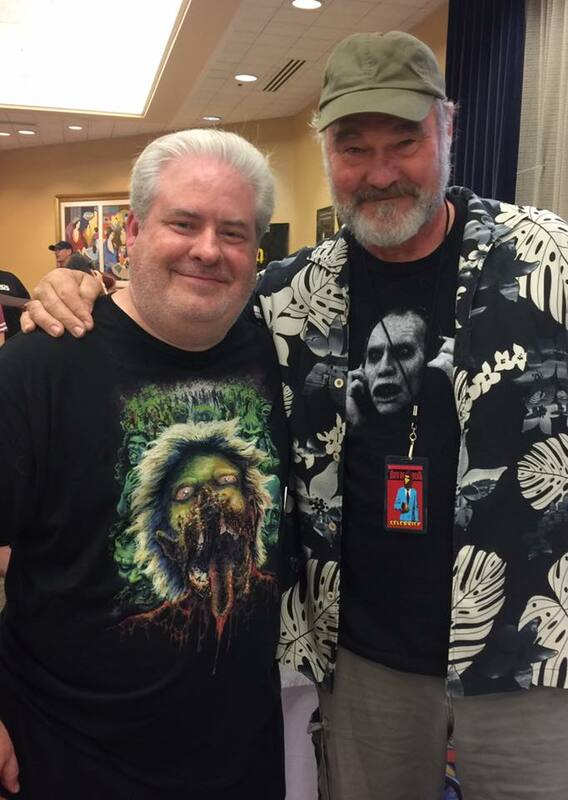 I don't know if Michael will make the trek to Chicago for DotD, but it's always good to see him when he does. He is one of the many friends I have made at this great convention. Check out DaysoftheDead.net for more info. You can also follow Days of the Dead on Facebook. They are very active on Facebook, osten posting guest updates and convention news. Michael West and Sherman Howard in Indianapolis, IN-July 2017.